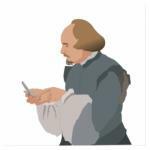 Hamlet's Blackberry: To Surf Or Not To Surf? Home > Science & Tech > Hamlet's Blackberry: To Surf Or Not To Surf? When our life ceases to be inward and private, conversation degenerates into mere gossip. Take ActionThis week experiment with setting an "electronic curfew" for yourself, and notice what kind of impact it has.